When he heard we were driving to Noosa, our host in the Glass House Mountains advised not to go straight to the southern end of the Sunshine Coast as soon as Steve Irwin Way ended at the Pacific Highway. He advised going north on the highway until Eumundi and exiting there. 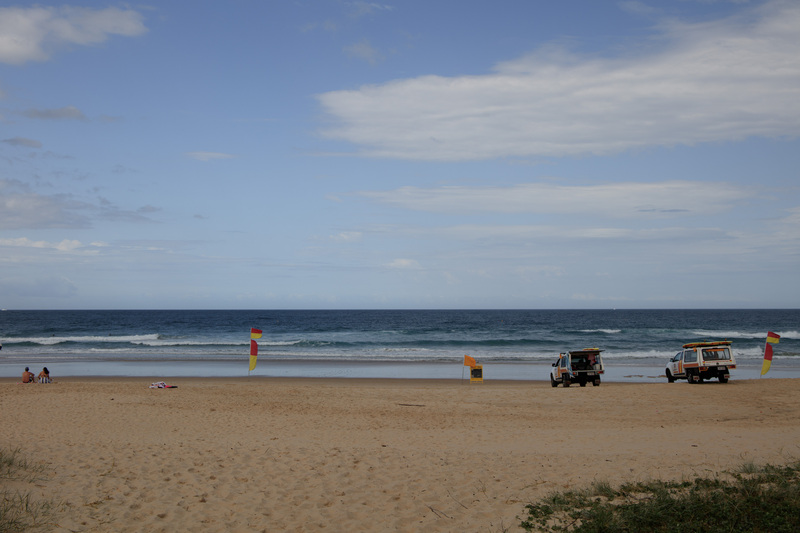 He said that Eumundi had a market worth seeing, the northern part of the coast was quieter. Also, the coastal road was much closer to the beach there, not obscured by buildings and less busy. As this was a Saturday we took his advice. 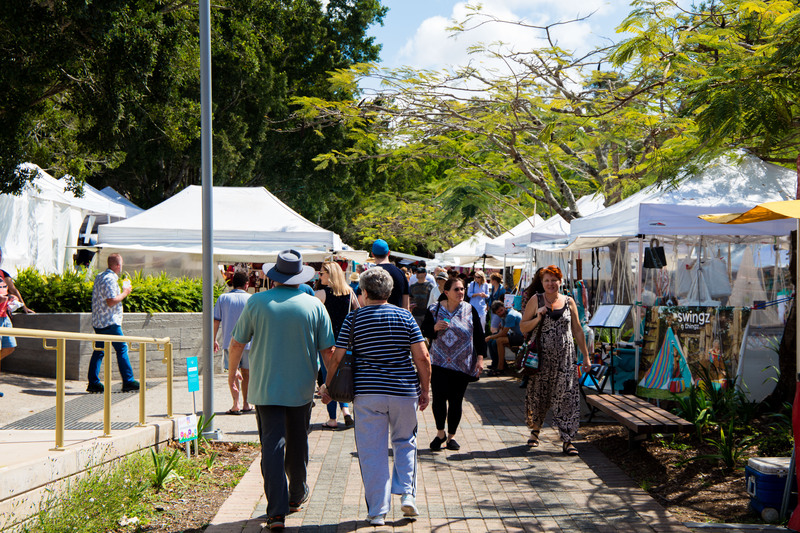 Eumundi market is billed as Australia’s premier artisan market and held every Wednesday and Saturday with at least 600 stalls. There are artisans stalls, food and drink stalls and live music. Free parking is very well organised. 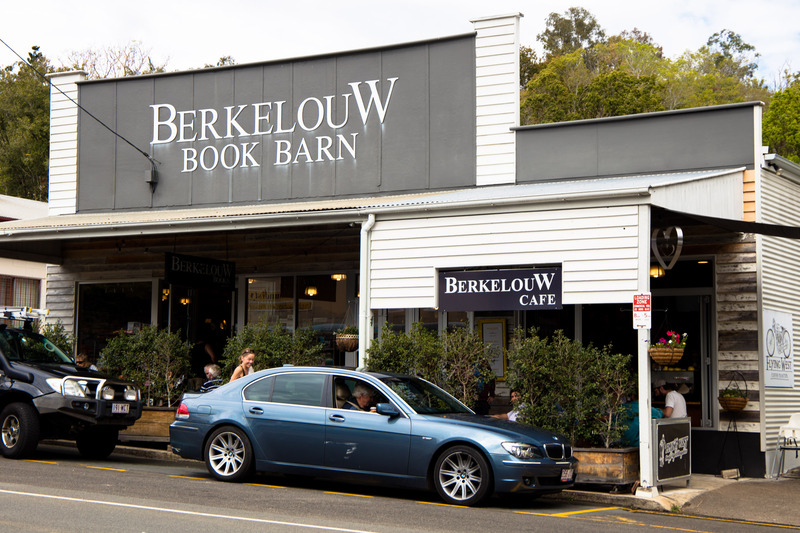 In the adjacent street are coffee shops and restaurants plus Berkelouw Book Barn which has been in operation since 1812. It is huge and sells both new and secondhand books and a few stationery/gift items. There is an adjacent café. I had to limit myself to one book as I do not wish to emulate having to sort out cases at check-in on the homeward journey. I had once bought so many books in the NW USA and Canada that I had to repack my case and give some to James at Vancouver airport. Afterwards, the temperature had risen to 26 degrees, warm enough for ice-cream. We had to wait a little as the ice-cream in the van was too cold! Back in the car we drove over to the coast and stopped for a picnic lunch on Castaways Beach. There were only a few dog-walkers and families plus two guys swimming. As we were about to leave, some guys arrived with a Weimaraner and two small terrier puppies. 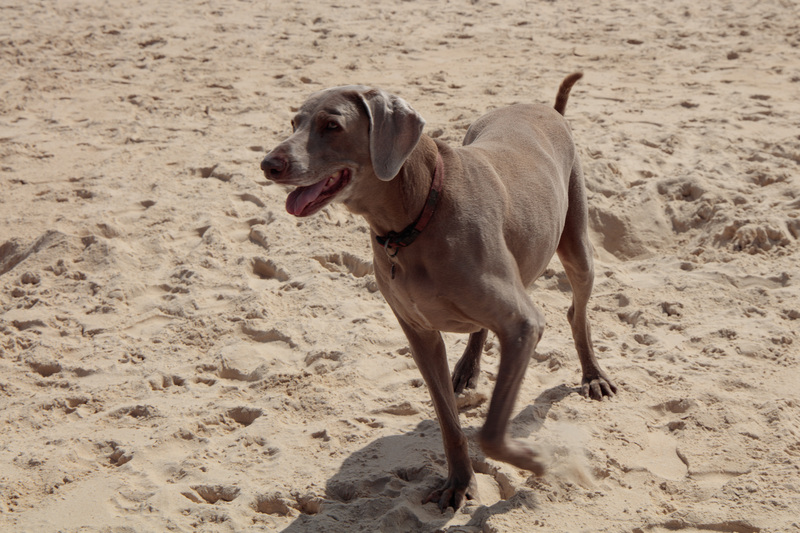 Our Weimaraner died almost three years ago at the age of 14 and we do miss her. I obliged and took some photos of the guys with all their dogs who were getting a bit fed up of posing. I also dipped my feet into the cold Pacific and could not imagine how anyone could swim in it. 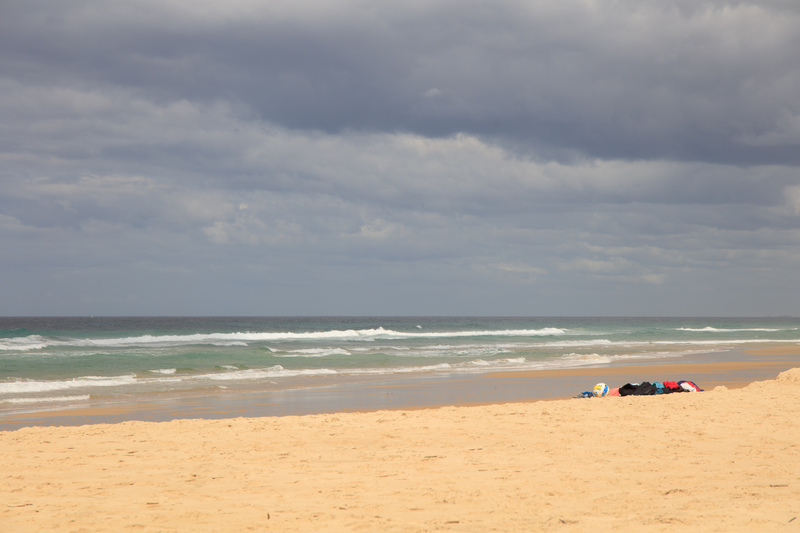 This was definitely the quietest beach as a little further up the coast, Sunshine Beach was much busier and had lifeguards. 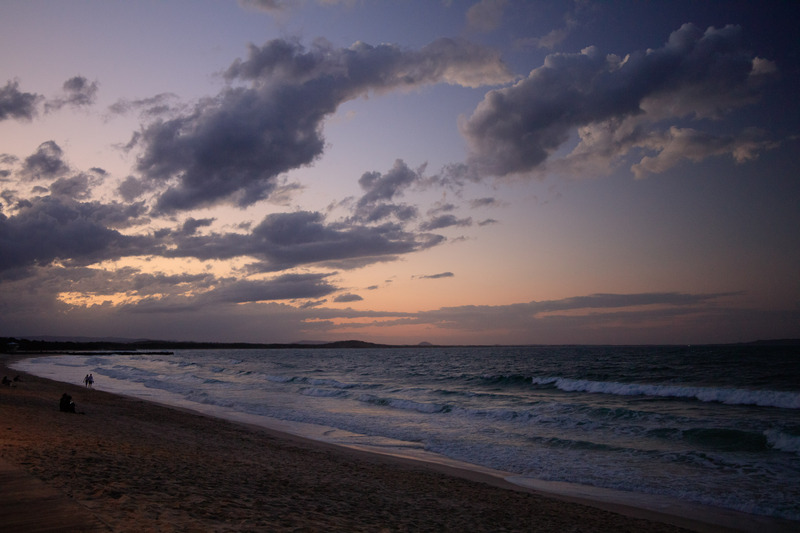 We settled into our motel in Noosaville before going over to Noosa Head and the main beach late afternoon. Hastings Street is the main drag behind the beach with hotels, apartments, boutiques and restaurants. At the south end of the beach is a path to First Point and a boardwalk to the National Park. 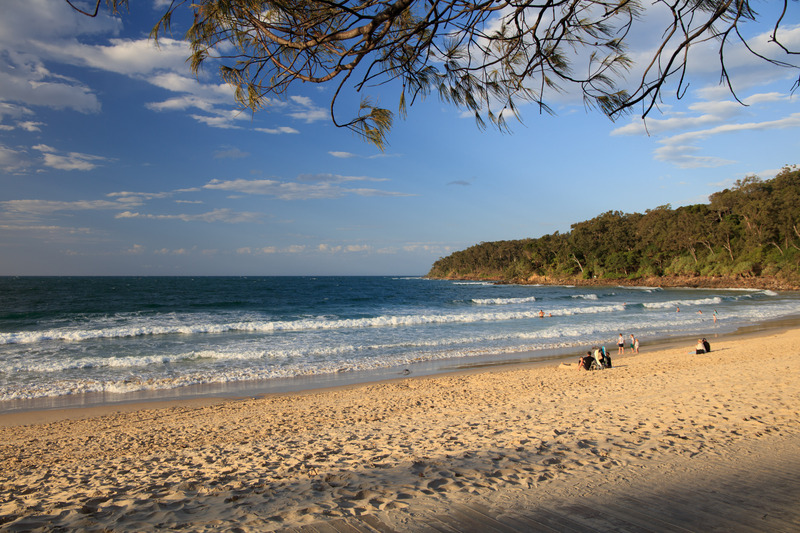 There is a coastal trail right around the head to Sunshine Beach. 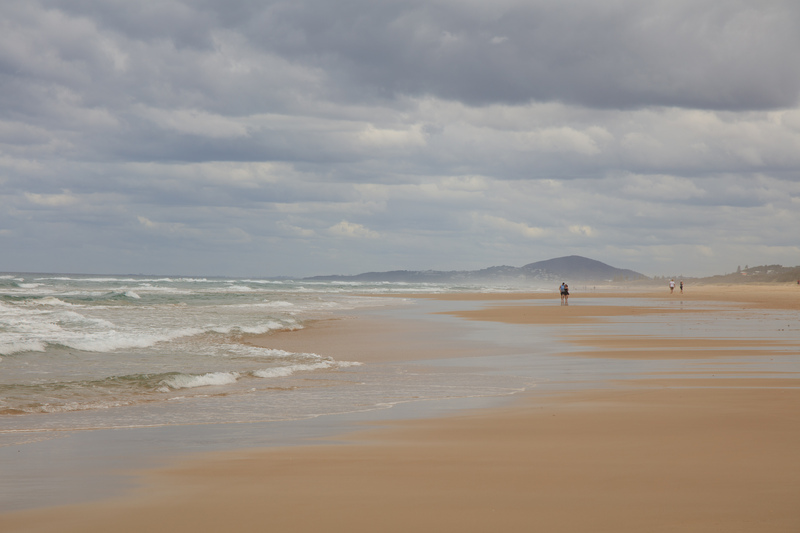 James was keen to eat fairly early, so we missed sunset but here is the beach afterwards. If we wake up early we might walk into the National Park to see if we can spot some koalas before we move on. Today’s mileage was 97 making the total after one week 1086.